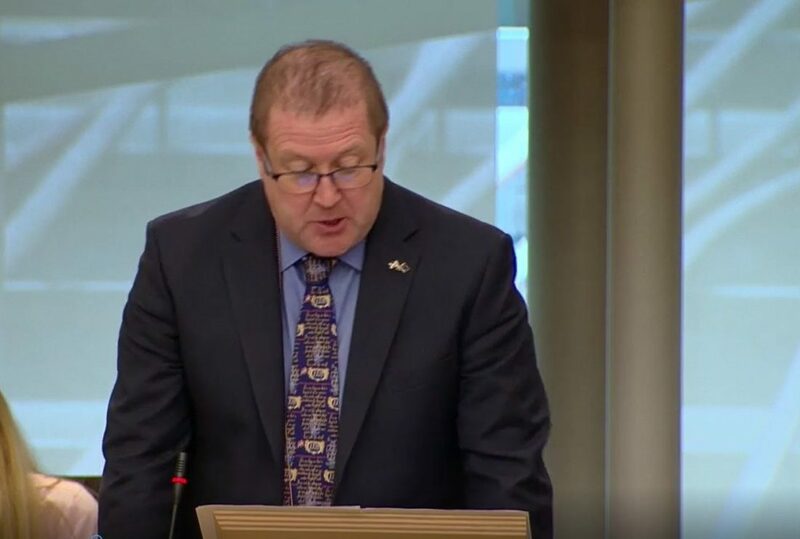 Graeme has this week lodged three motions in Parliament celebrating some fantastic achievements from Angus South residents. That the Parliament commends the efforts of Ashley and Liam Wilkie, who are from Kirriemuir, on raising £20,000 over a few months for the charity BBSUK, which supports people with the genetic condition, Bardet Biedl syndrome; understands that Ashley and Liam’s three-year-old daughter, Caitlin, is one of only five in Scotland to have the condition, which can lead to blindness, obesity, heart and kidney problems, learning difficulties and development delays; notes that the Kirriemuir community has a number of other fundraising activities planned; understands that BBSUK is the only charity in the UK that is dedicated to people with the condition and that the money that Ashley and Liam have already raised exceeds its annual budget; welcomes the support provided by the people of Kirriemuir, and congratulates the couple on raising such a fantastic sum over a short space of time. That the Parliament congratulates Darren Burnett, who is from Arbroath, and his teammates, Ronnie Duncan and Derek Oliver, on winning Gold in the Lawn Bowls triples at the Commonwealth Games; notes that this is Darren’s fifth Games and that he won Gold in the singles and fours in Glasgow in 2014, and wishes him success in the upcoming singles. That the Parliament applauds the fundraising efforts of Morag Tindal, who lives in the Angus South constituency, on raising thousands of pounds over the last three years for Mary’s Meals by providing refreshments for cyclists, walkers and passers-by from outside her home, which is close to the Carnoustie-East Haven cycle path; notes that, in the last year alone, Morag has raised £1,073, which has helped the charity to provide meals for schoolchildren in more than 15 countries, and commends her efforts in welcoming people to East Haven and supporting people in need.